We are delighted to advise that we have just launched the latest in our superb range of Alpha Billet Fuel Pressure Regulators. Manufactured to the same OEM quality standards as our existing range of adjustable pressure regulators, the -6 fitting regulators feature a new design in compact fuel module assembly to give precise, accurate and consistent flow and pressure. 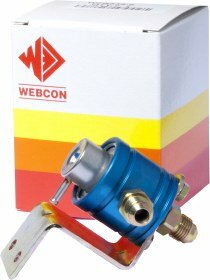 Fittings are -6 and the threads in the body are 1/8 NPT.